Gitano Jungle Room is the newest restaurant from Grupo Gitano and it is great! 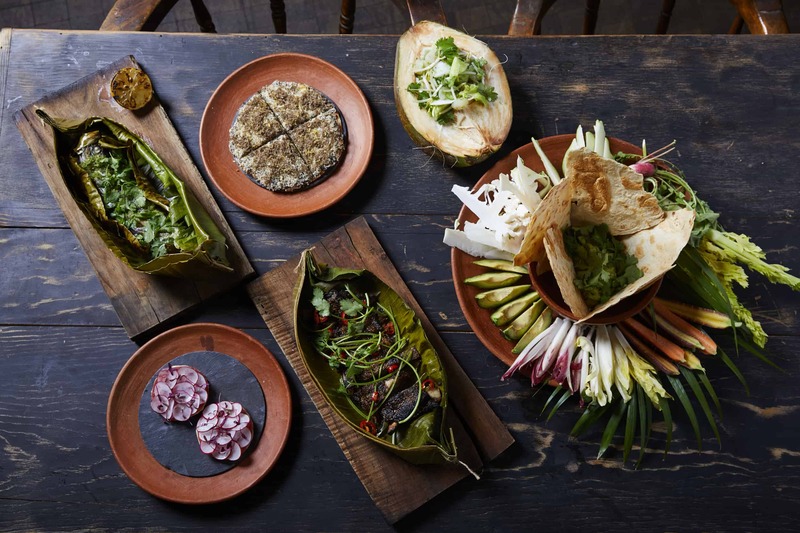 Located in a cavernous, subterranean room in the James Hotel in SoHo, the Jungle Room features some of the best Mexican and Mayan food you could ever hope to find in New York City. And we’re not burritos and tacos here (great as those are). 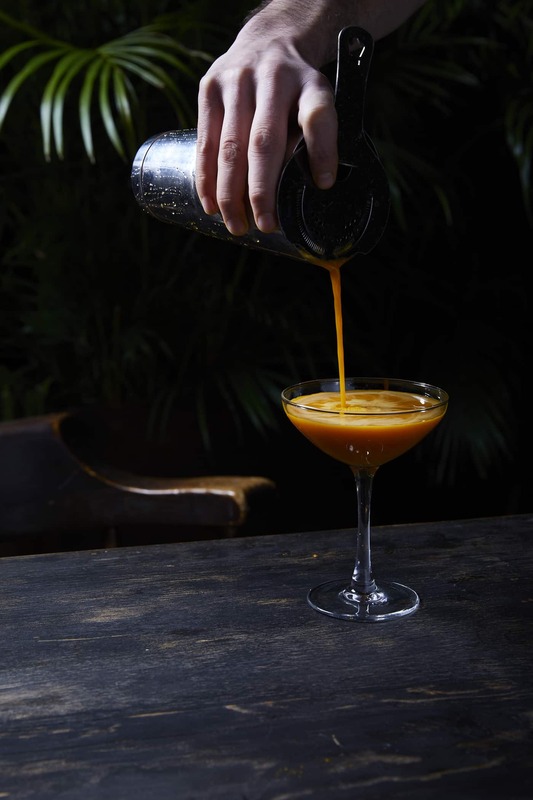 The menu was created by Michelin-starred, consulting chef Mads Refslund (co-founder of Noma and former executive chef of ACME) and head chef Yvan Lemoine (former executive chef of Bodega Negra) and is as fresh and modern as it is comforting and satisfying, but more on that later. First, the restaurant itself! 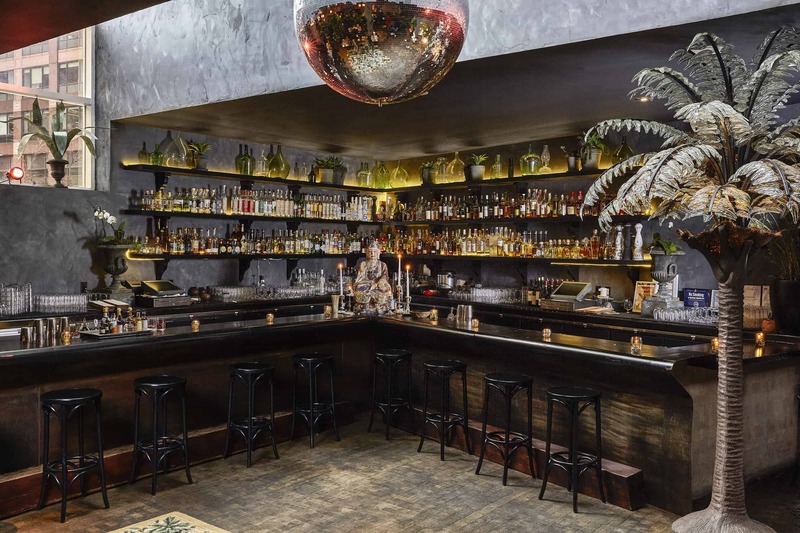 The Jungle Room is Gitano’s attempt to bring a little bit of Tulum — where the first Jungle Room opened in 2013 — to New York City. The decor is inspired by the lush tropical jungles that surround Tulum’s famous beaches and the Spanish Colonial architecture of the Yucatan Peninsula. A one-of-a-kind 10′-tall illuminated crystal palm tree greets you when you enter the front bar area, complimented by a giant disco ball that descends from the skylight connecting the Jungle Room to the Jungle Bar above. The Cocktails on offer at the bar are insanely delicious. Of course, there is a perfect margarita, but head bartender Jeremy Strawn (formerly of Death & Co., Merchants Hospitality, and The Standard Hotel) has also created some truly unique and special concoctions like his dairy-free nut milk cocktail, the Coco Chacha — made with rice milk, gin, lemon, sesame, horchata, and tumeric — and the Golden God — a dangerously delicious combination of Los Vecinos mezcal, passion fruit, lemon, and yellow chartreuse with a little CBD mixed in for good measure. 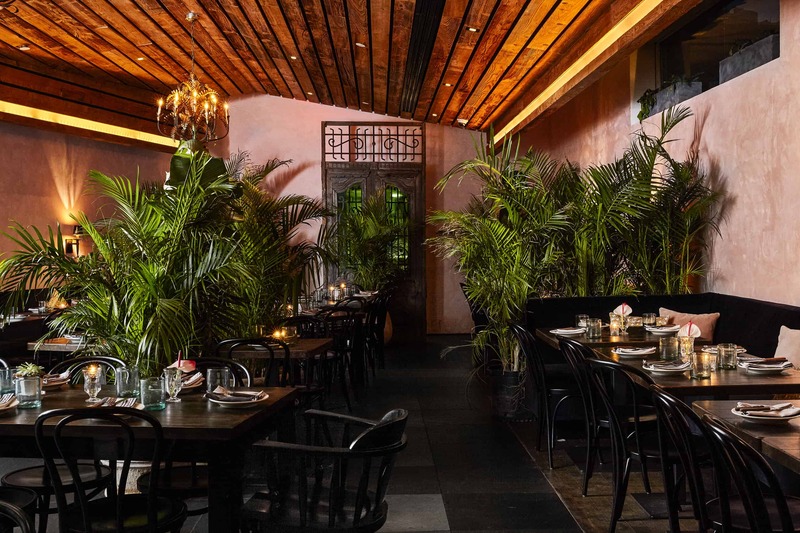 The dining room can seat up to 120 people and is filled with lush tropical plants and lined with rustic wood and ancient Mexican architectural elements and textiles curated by Gitano founder James Gardner and his husband, artist Andrew Cramer. As with any great restaurant though, it’s the food that’s the real star — fresh and indulgent, but not the least bit heavy. The tuna tostadas with radish and sesame are divine and the guacamole with crudite is so refreshing and flavorful that you’ll be tempted to lick the bowl clean. Seriously, it’s delicious. On the “small plates” front, the Oaxcan truffle quesadilla is not to be missed — made with huitlacoche, gouda, and black truffle, they were so good that my date and I almost ordered another one before we’d even finished the first. “Large plates,” as the menu designates its entrees, are served family style and are best ordered with a side or two — particuarly the “taco add on,” which includes homemade corn tortillas, lettuce wraps, and red and green salsas. We ordered the carne asada and the crispy duckling barbacoa. Both were flavorful, although, to be totally honest, the duck failed to deliver on the crispy front. Still, the duck meat itself was perfectly tender and very yummy. For dessert, there was a wonderful coconut panna cotta served in a coconut shell and topped with a delicate granola (just the right amount of crunch without overshadowing the silky smoothness of the custard) and fresh berries with a scoop of coconut sorbet on the side. We also had some mini churros, which were accompanied by vanilla ice cream and little pots of caramel and spiced chocolate for dipping. All in all, it was a wonderful meal, in a lovely space, so the next time you find yourself in SoHo make sure you check it out. You’ll be glad you did.